Letting the dealer draw cards until their hand is higher than 21. Blackjack is also known as 21 and is the most popular casino banking game the world over. It is played with one or more standard decks of 52 cards. Four to six decks is common to use in casinos. The game is usually played by up to 7 players, all trying to beat the dealer. There is no such thing as a hot (or cold) table or dealer. All the seats at the table are the same – there isn’t a ‘lucky’ seat. Some players prefer to sit at tables where dealers are losing, however just because a dealer has been losing (or winning) in previous rounds, it doesn’t mean they will carry on losing (or winning). Avoiding tables with bad players won’t have any effect on whether a player wins or loses. 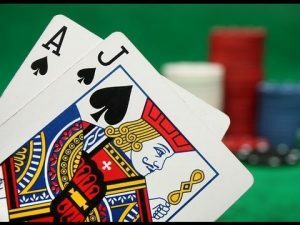 Players don’t need to be great at math to play blackjack – they can do well by learning some basic blackjack strategy and by counting cards. A player joining or leaving during a game will mean there is a change in the order of the cards, but it isn’t necessarily going to affect the other players negatively. An automatic shuffler vs hand shuffling has no real impact on the game. But – it is impossible to track cards if an automatic shuffler is being used.